I said that I’d start using recipes from the modestly large collection of cookbooks that I have, and I’ve done it. I’m quite chuffed, actually. And it was tasty, too! 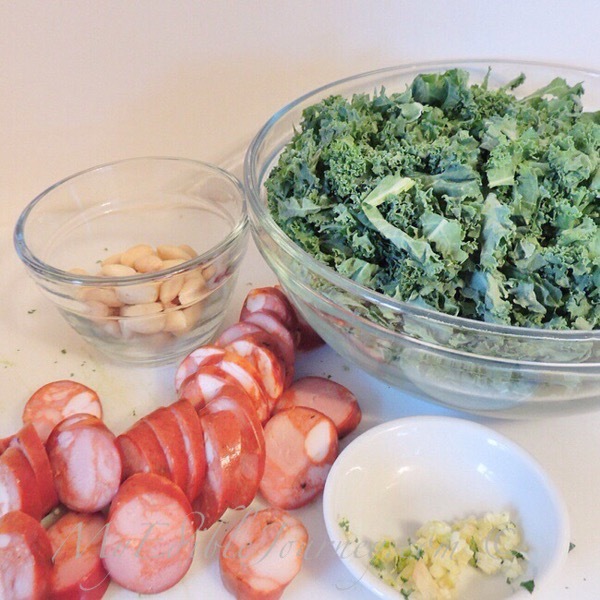 This entry was posted in cookbooks, Mains, Pork, Vegetables and tagged almonds, chorizo, cookbook, easy, fast, kale, kitchen diaries 2, nigel slater, quick on January 25, 2016 by Mama B.